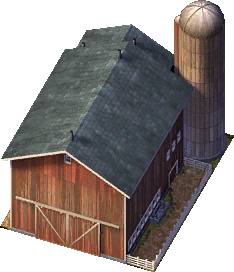 Alvin's Acres is an Agricultural Industry Anchor building that grows on Low Density (Agricultural) Industrial Zones. With the Colossus Addon Mod installed, the number of jobs provided by this building is increased to 38. It is otherwise unchanged.